Is “Never” the Best Time for a Critique? Rev. 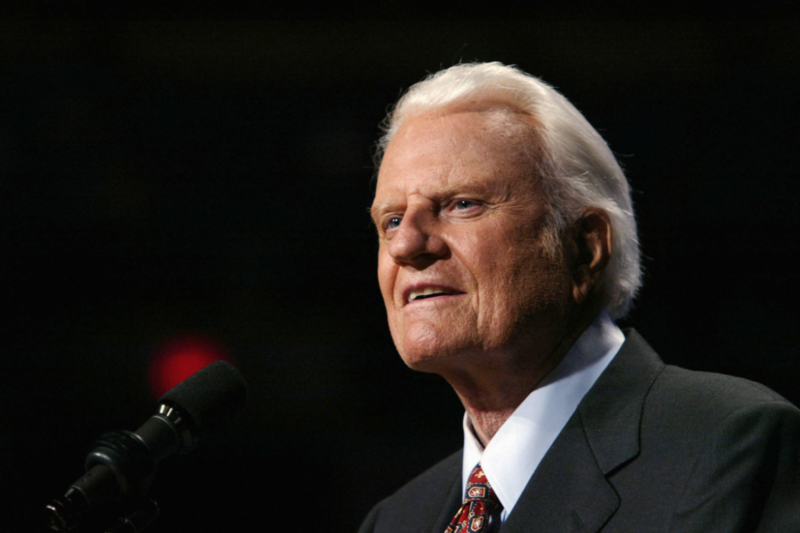 Billy Graham, 2003. (David Hume/Getty Images). Cropped slightly; qualifies as fair use due to cropping and subject matter. I’ve been watching the variety of responses to the death of the late great Billy Graham over the past seven or ten days. Most people have been in mourning, which was something to expect. Many, like UPenn religious studies professor Anthea Butler, have reminded the world of the White nationalist, segregationist, and sexist views Graham either represented or excused during his six-decade-long run on the national stage. Translation: apparently, we’re never supposed to question what some famous person has done. Especially if they have the word “reverend” or “pastor” as part of their official title. It’s a thought process that imbues power to religious leaders, so much so that we might as well make them god-like, since our job is merely to obey and stay quiet. But as I’ve learned over the past three-and-a-half decades, religious leaders are fallible. They aren’t sacrosanct. And while seminaries or other religious institutions have ordained them, that doesn’t mean that every vision they’ve ever had came straight from God. Meaning that we can question. Meaning that we can critique. Meaning that we can provide evidence that humanizes whom others would consider a pedestal perfect being. For those whom aren’t Christian, it certainly means they can judge Graham, too. To err is human, no? Which means we shouldn’t have any sacred cows. Graham might’ve saved millions of souls for eternal life. But that shouldn’t automatically exempt him from a critique of his unwillingness to help those same souls while they were still here on Earth.